I'm not entirely sure what this little-headed big-bodied thing is...he's almost human, but not quite. 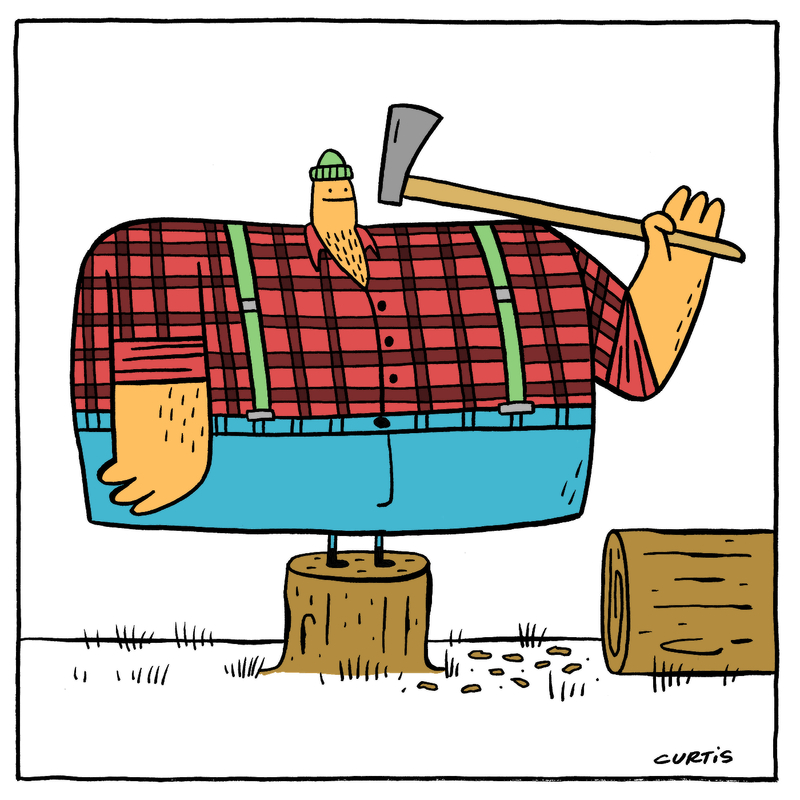 What I do know is that his name is Leon and he spends his days chopping down trees. If you want to know anything about what it's like to be a lumberjack, just axe him.